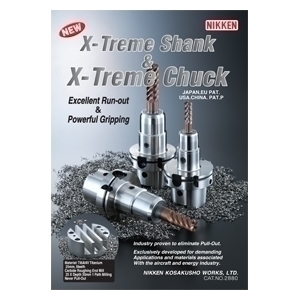 The NIKKEN X-Treme Tool Holding solution was developed specifically for the rapid, reliable machining of Titanium Alloy components frequently found in Aerospace Applications. 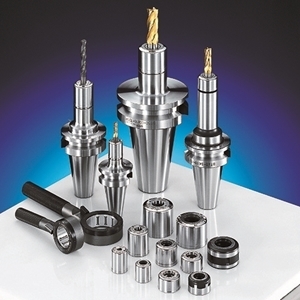 Titanium components are not easy to machine quickly and the process frequently causes high rates of tool damage, with lesser tool holders frequently experiencing tool slip with the potential costly loss of critical and expensive components. X-Treme features a completely redesigned and sealed nose ring assembly working in conjunction with a patented tool shank security system. These developments not only guarantee the exact positioning of the tool shank but also eliminate movement and pulling during cutting. The stability and capability of the holder's grip on the end mill shank is such that heavy cuts in titanium are reliable and quiet, even at high metal removal rates. Combined with a leading milling tool solution, the X-Treme Chuck meets all expectations, cutting aerospace grade titanium alloy at increased depth and removing metal at record-breaking rates. 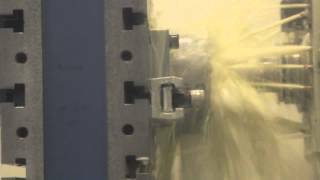 X-Treme has already been adopted in several major aero-engine and airframe titanium machining facilities as the primary heavy duty roughing solution (in some cases, because of the confidence gained from the cutter security, the solution is also now applied to finishing processes). The solution has seen success from adoption at key facilities in Europe and the USA whilst in Japan, following launch and further testing, additional markets and strategies are being completed ahead of expanding the scope for solution globally. NIKKEN Kosakusho Europe were called on by Doncasters Bramah to increase efficiency, overcome a potential health and safety concern and improve working practices in their aerospace exhaust manufacturing process. Produmax have an ongoing chuck amnesty project and currently trade in approximately seven lower-performance tool holders per month for NIKKEN Multilock or Slim Chuck milling chucks. 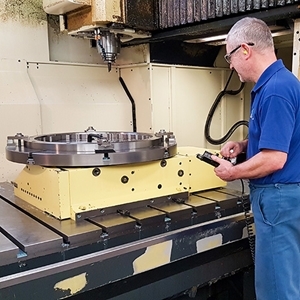 Produmax, a specialist manufacturing company with an expertise in high precision engineering, identified an opportunity to improve manufacturing processes by increasing the implementation of off-line tool presetting in the Pit Crew area of their brand new manufacturing facility in Shipley. Nikken were approached by the company in 2007 to work with them on a project to optimise an Airbus A350 Bogie Beam semi-finish machining application. 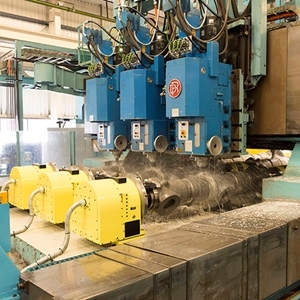 The ultimate solution required 6 off 583kg Titanium Forgings to be machined simultaneously on a six-spindle Droop & Rein Vertical machine tool platform. 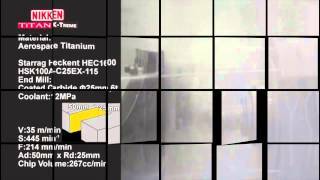 The TiTAN X-Treme solution in action removing 267 cubic centimetres of Titanium per minute. 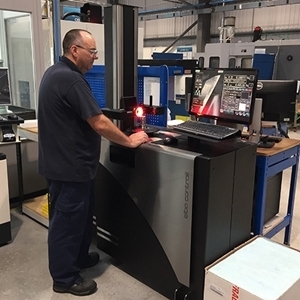 Cutting trial staged at the AMRC in Rotherham on a Starrag Heckert ZT1000 Machine.